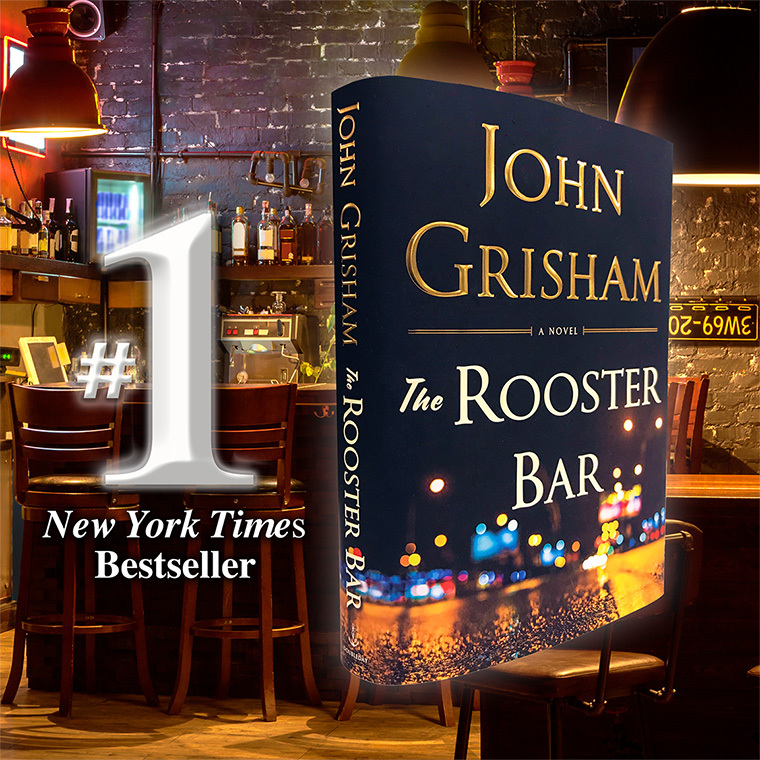 THE ROOSTER BAR, a #1 New York Times Bestseller! I pinch myself all the time at my good fortune to do what I love for a living. As with most authors, I sit alone for months pulling words from the air and putting them on paper. When I’m satisfied with the work, I send it off to my publisher, Doubleday. Months later, I open a box to see and hold the bound book in my hands for the first time. To discover, ultimately, that there are enough readers who are entertained by the work to put it on bestseller lists is a blessing beyond description. I’ve had my share of #1 bestsellers, but I’m still surprised and delighted to hear the news. Many, many thanks to my readers, and I bow to the best booksellers on the planet!